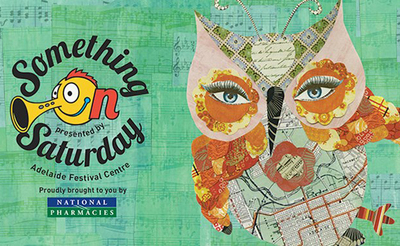 The Adelaide Festival Centre have released the 2013 program for Something on Saturday. Never heard of Something on Saturday? Well it's a program aimed at kids 3-10 years old (but older kids are completely welcome), every week the Adelaide Festival Centre has a brand new production incorporating theatre, music, dance, storytelling, or even circus. It's a great introduction to the world of theatre and the performing arts. .h.g. 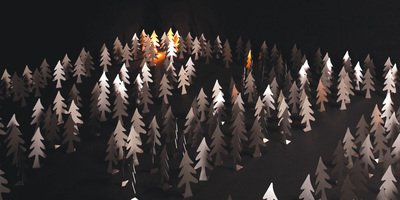 - A unique retelling of Hansel and Gretel designed for just one. You're given some headphones and a torch, and sent off to explore this much loved fairy tale. Only one person can view the show at a time, so this one is probably best for slightly older children. Check out the eerie YouTube video to get a bit of an idea what you might see. 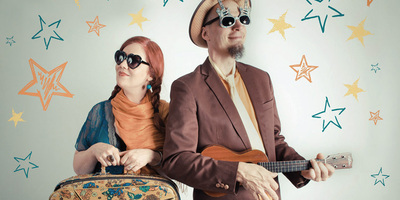 Songs For Little Monkeys - The Mudcakes - The Mudcakes are a music group from Tennessee who sing fun songs for kids in a range of different styles. Your little ones will be dancing and singing to all the fun tunes. 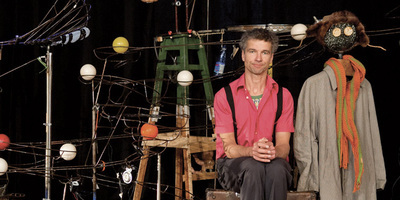 Squaring the Wheel - This is a crazy circus show featuring lots of cool contraptions. Amongst the absurdity and the awesome stunts there's also a good story about friendship and being yourself. 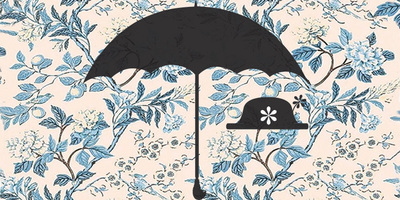 Mary Poppins - Finally the much loved story of Mary Poppins has also made it's way onto the program. No Julie Andrews won't be performing, but it will feature dancers from the Australian Youth Ballet and Brenton Whittle and Bookworm will be narating. Last year they put on a fantastic production of the Lion the Witch and the Wardrobe, and Mary Poppins will no doubt be another success. This is just a small sample of the shows you'll be able to see. You can find the full list (along with booking information) on the Adelaide Festival Centre website. If you do buy tickets your kids will also be able to take part in the awesome 'Foundation Corner'. A fun craft spot where they can do special activities that tie in with that day's show. Go see the and you'll get to make your own pet frog or bird, or go see Dreamer in Space and make your own space craft. All foundation activities are completely free. Have you been down to a Something on Saturday performance before? What was your favourite?